Marc is a native of New Orleans, Louisiana, and an avid pilot. Marc received a B.S. degree in Biology from Our Lady of Holy Cross College in 1993 and a J.D. degree from Loyola University in 1996 in Civil Law with a Common Law certification. He is the principal and managing member of Vezina and Gattuso, L.L.C., Vezina Law Group’s sister firm located in Gretna, Louisiana. 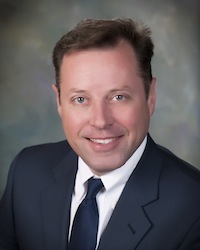 Marc has extensive experience defending medical malpractice actions, representing healthcare entities in corporate and litigation matters, representing whistleblowers in fraud and abuse cases (qui tam litigation), and representing religious and educational institutions in matters related to educational and canon law. Many aspects of Marc’s practice are national in scope. He has successfully prosecuted qui tam cases nationwide and serves as trial counsel on select cases throughout the country involving complex commercial litigation, qui tam litigation, and malpractice matters, . Marc also regularly serves as a Special Assistant Attorney General for the State of Louisiana for the purpose of trying complex damage cases. He has also assisted the State of Louisiana in the prosecution of complicated consumer protection matters. In addition to presenting and participating in lectures and seminars on a wide variety of medical and legal issues, Marc serves as a visiting professor to Our Lady of Holy Cross College School of Nursing on risk and practice management issues. He also serves as general counsel to numerous educational, religious, and charitable organizations throughout the country. Marc is licensed in Michigan, Texas, Georgia, and Louisiana. Special Assistant Attorney General for the State of Louisiana. 1996 – Present. Our Lady of Holy Cross College Nursing School Visiting Professor. 1999 – Present. Louisiana State Attorney General’s Office. Faculty for In-Service Training of Assistant Attorney Generals and Outside Contract Counsel in Medical Malpractice Defense Matters. Louisiana Division of Administration Agency– Office of Risk Management. St. Augustine High School – General Counsel. Advises the Josephite Priests relative to the daily operations of the School. Taxpayers Against Fraud Educational Fund. November 1, 2010. Davis v. Board of Supervisors of Louisiana State University . 709 So.2d 1030, 1997-0382 (La. App. 4 Cir. 3/18/98). The first court of appeal in Louisiana to address a then recent legislative change allowing for partial summary judgments consistent with the Federal Rules of Civil Procedure. Also extremely significant in that it is the first Louisiana court to address and reject “wrongful life” claims for children born with congenital birth defects as a basis for malpractice damages. Collins v. State ex rel Louisiana Healthcare Authority . 774 So.2d 167, 299-2308 (La. App. 4 Cir. 7/12/00), 1999-2307. Malpractice case regarding the Emergency Medical Treatment and Labor Act (“EMTALA”) by a Louisiana Court of Appeal with regard to facilities, such as the Charity Hospital system, owned and operated by the State of Louisiana. It correctly limited the scope of EMTALA to claims outside of those for general misdiagnosis or general malpractice. Zelenak v. Fazzio . 833 So.2d 386, 02-501 (La. App. 5 Cir. 11/13/02). Significant opinion by the Louisiana Court of Appeal limiting the authority to of an insurer to dismiss an arbitration proceeding, and enforcing insurance policy arbitration provisions despite a claim of waiver in the trial court proceedings. Hebert v. Parker . 796 So.2d 19, 2000-0686 (La. App. 4 Cir. 5/23/01), 2000-0687 (La. App. 4 Cir. 5/31/01). Medical malpractice action noteworthy in limiting the scope of a “loss of a chance of survival” claim arising out of an alleged negligent treatment of pre-existing conditions. This was also significant for limiting the quantum in a pro-plaintiff venue for an alleged misdiagnosis of cancer case after a gynecological procedure. Davis v. Board of Supervisors of Louisiana State University and Agricultural and Mechanical College . 887 So.2d 722, 2003-2219 (La. App. 4 Cir. 11/17/04). Medical malpractice action against LSU, related facilities and physicians, for alleged failure to timely advise parents of chromosomal abnormality present in their unborn child and denying them an opportunity to plan family and terminate pregnancy. Significant for reversal of jury verdict finding physician and medical facility liable, specifically holding that standard of care for a specialist had not been established at trial, holding that when an issue peculiar to a particular specialty is involved in a malpractice claim, only physicians in that specialty may offer testimony regarding applicable standard of care. Jones v. Bick . 891 So.2d 737, 2004-0758 (La. App. 4 Cir. 12/15/04). Medical malpractice action against private physician acting in a teaching capacity for state hospital system. Significant for limiting liability to State of Louisiana alone, rather in physician’s name, in order to promote and protect physicians who performed services on behalf of state Charity Hospital system and LSU training programs. Mitchell v. Rehabilitation Institute of New Orleans, Inc . 953 So.2d 75, 2006-0910 (La. App. 4 Cir. 2/14/07). Medical malpractice action against private nursing home and state employed physicians. Noteworthy for defining the triggering events to interrupt prescription (statute of limitations) against state physicians. Also protects the integrity of the Louisiana Medical Review Panel process, which is held to be a necessary and indispensable antecedent to filing a suit against a state physician in Louisiana. Lawrence ex rel Lawrence v. St. Augustine High School . 955 So.2d 183, 220 Ed. Law Rep. 429, 2007-0263 (La. App. 4 Cir. 3/21/2007). Litigation against private school seeking injunction to enjoin school from imposing disciplinary probation against student who was charged with plagiarism. Trial court granted an injunction and significant for obtaining a reversal of the trial court’s issuance of an injunction against a private school, with the court of appeal finding that courts should not involve itself in the inner workings private schools. Also noteworthy holding that private institutions have plenary authority over its institutional policies and procedures. The opinion is also significant in that the court went further to define that the school did comply with all procedural safeguards and due process as outlined in the student handbook. Bertoniere v. Jefferson Parish Hospital Service District No. 2 . 972 So.2d 328, 07-301 (La. App. 5 Cir. 10/30/07). Medical malpractice action against private physicians which raised issue of timeliness of filing of suit under prescriptive period (statute of limitation). J. Marc Vezina served as trial counsel on behalf of the Louisiana Patient’s Compensation Fund. The opinion is important in that it defines and clarifies several outstanding issues regarding the applicable statute of limitations when a delayed discovery has been alleged or is at issue. The Court of Appeal correctly affirmed the trial court in favor of the Louisiana Patient’s Compensation Fund, dismissing the action. Salvant v. State . 935 So.2d 646, 2005-2126 (La. App. 7/6/06). Medical malpractice action against the State of Louisiana, its medical centers and three physicians alleging that a shoulder dystocia injury was caused by the negligent actions of the OB/GYN’s employed by the State of Louisiana. This case is significant for several reasons. First, this was a traditionally pro-plaintiff jurisdiction and venue, and was one of the few successfully defended shoulder dystocia cases in this Court. Also considerable was the fact that the court of appeal reversed the trial court’s judgment in favor of the State, and awarded the maximum amount of liability against the state physicians and the State of Louisiana. The Louisiana Supreme Court reversed that decision and reinstated the trial court opinion, finding that the court of appeal grossly departed from judicial proceedings in justifying their award to the plaintiffs in this case. Also significant as a matter of law was the correct limitation of the doctrine of res ipsa loquitur. The Louisiana Supreme Court correctly adopted the arguments of counsel and ruled that res ipsa loquitur is inapplicable in cases where an inference can be drawn that the accident and/or injury could be due to a cause other than the defendant’s negligence, severely circumscribing the application of this doctrine in the State of Louisiana. United States ex rel LaCorte v. Merck and Co . 2004 WL 1373276 (not reported in F.Supp.2d (99-3807, EDLA 6/16/2004). J. Marc Vezina served as lead trial counsel in this Federal False Claims Act case, along with pendent state False Claims Act claims. This case is significant in that the United States Department of Justice declined to intervene in this matter twice, and the relator through trial counsel was successful in maintaining the cause of action and the viability of the claims regarding False Claims Act liability in the presence of underlying violations of the Anti-Kickback Act, as well for violations of the Prescription Drug Marketing Act and the Food, Drug, and Cosmetic Act. Trial counsel filed an amended complaint, in which the United States Department of Justice later noticed the court that it was intending to intervene in the matter, as well as that of nineteen other states’ Attorneys General, which resulted in a record settlement for the Eastern District of Louisiana in the amount of $250,000,000 in February, 2008 between Merck, the United States of America, and the Several States for Medicaid pricing fraud. ACLU v Holder. --- F.3d ----, 2011 WL 1108252 (C.A.4 (Va.)), 32 IER Cases 25, 39 Media L. Rep. 1577. Lower Decision at 652 F.Supp. 2d 654 (EDVA 2010). J. Marc Vezina served as Lead Counsel for Amicus Taxpayers Against Fraud in an action filed by the ACLU seeking to declare the False Claims Act unconstitutional.